Dental fears are so common in trauma survivors; it wasn’t until I read a post by Patricia on her blog, “Grace to Survive” that I was able to connect my trauma with my dental fear. Since then, every time I have written about my own fears, others have chimed in that I’m not alone with these challenges. 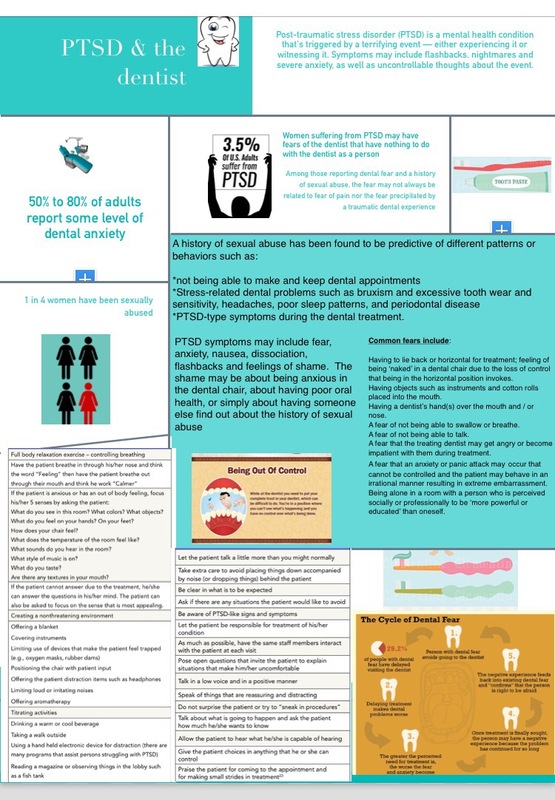 My husband put all the information he found about dental fear and PTSD from sexual abuse into a kind of home made info-graphic. After I shared it with Patricia, and she found it helpful, I’ve decided to add it to my pages.